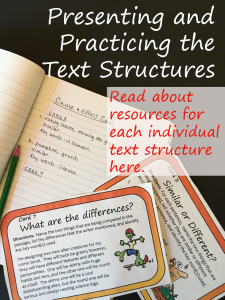 Since I’ve been working on resources for teaching text structures, I thought I would also check out blog posts for more ideas about teaching these reading skills. Here are some that I liked. 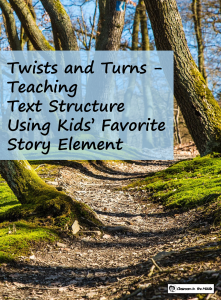 These are from a variety of blogs, and they offer interesting choices of text structure lessons for middle school or upper elementary reading and language arts classes. This one, from The Owl Teacher, uses think-alouds and sorting activities, both whole class and individual, to teach text structures. This lesson, from Teaching with a Mountain View, uses a carousel activity and a foldable. Here, The Classroom Key discusses ways to incorporate text structure practice into close reading lessons. 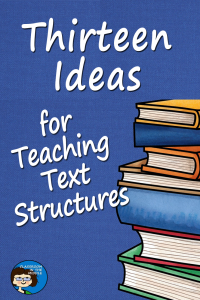 This Reading Mama stresses the value of teaching text structures to improve overall reading comprehension. Her post includes graphic organizers for both fiction and non-fiction structures. 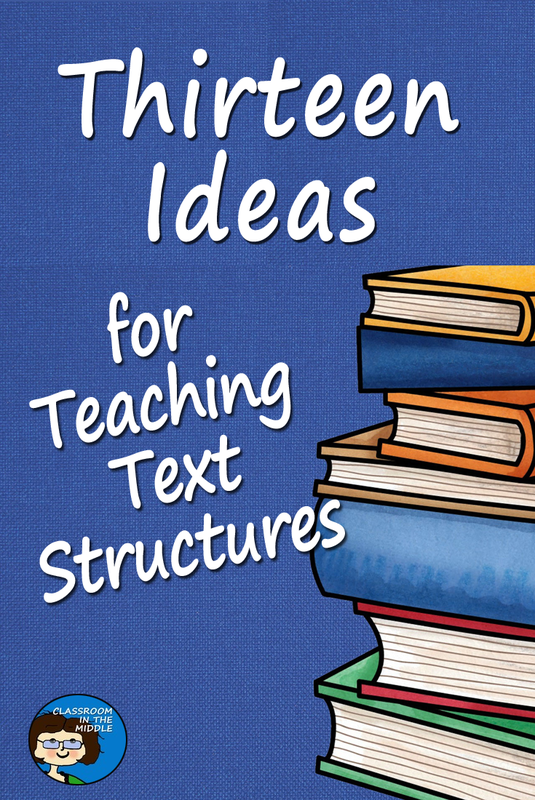 This post, from The Teacher Next Door, includes a list of mentor texts that includes each of five text structures. 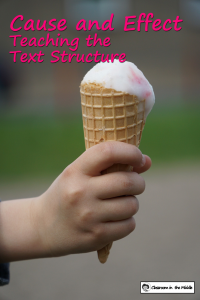 This Scholastic text structure lesson provides an introduction to text structures with clues to identifying each one. 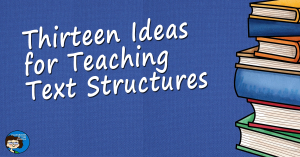 Cult of Pedagogy writes about the importance of teaching text structures and includes a video of teaching ideas and links to more resources. This lessons from NEA includes a helpful chart with descriptions, examples, and signal words for each structure. Here are some ideas for using movie clips to teach text structures, from Literacy for Big Kids. 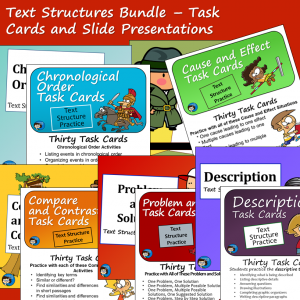 This post from my blog, Classroom in the Middle, describes each of my text structure resources, including task cards and slide presentations for five text structures. 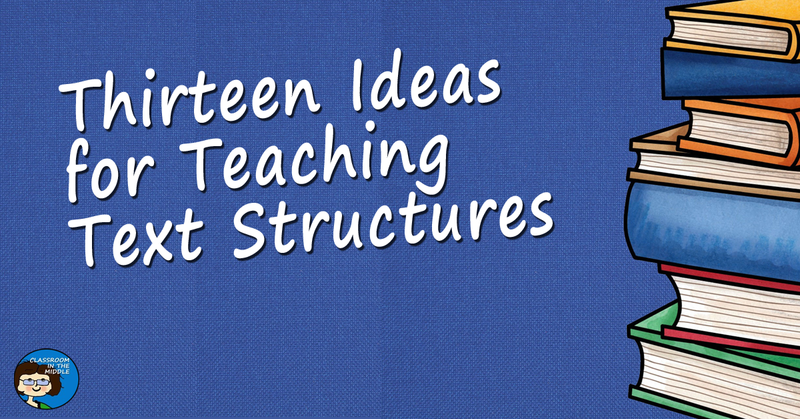 This one from my blog is about teaching the chronological order text structure. This one, also mine, is about teaching the cause and effect text structure. 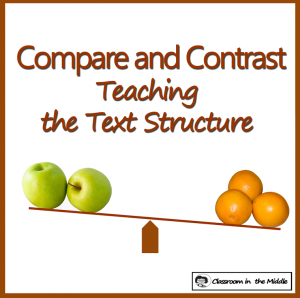 And this is my post about teaching the compare and contrast text structure. I hope that you’ve found some ideas that you might be able to use here, or maybe a new twist on a teaching idea that you already use in your lessons. If you have blog posts with a ideas to share, you are welcome to add the links in the comment section below. I would love to read them.